LOGO printing machine, LOGO printing machine factory, LOGO printing machine manufacturer, China LOGO printing machine price. 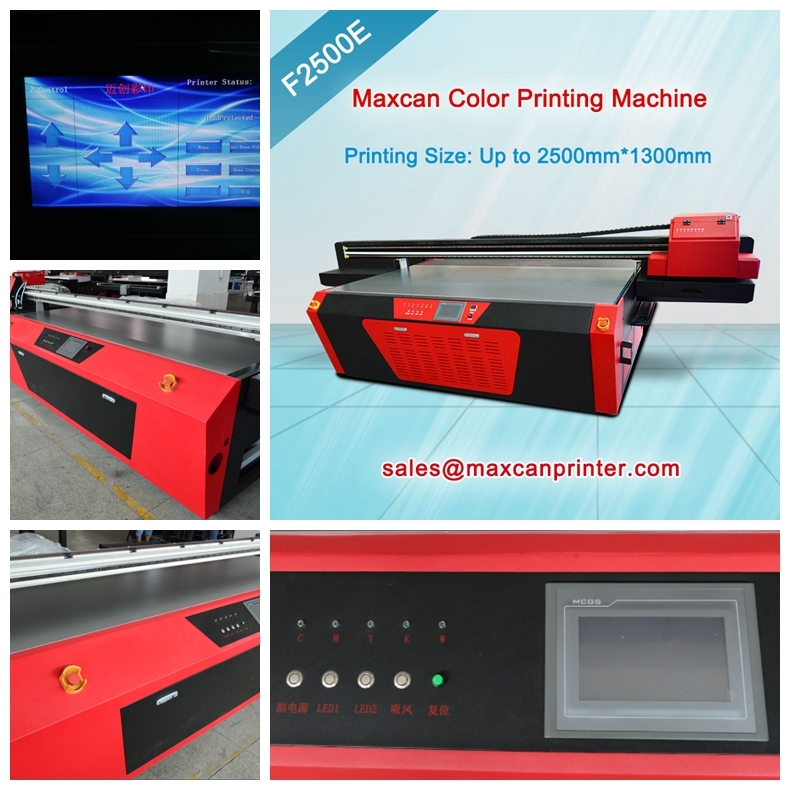 Why choose Maxcan Navigator Series F2500E Logo printing machine? 1. With over 14 years of experience in design and produce printer controllers and 5 years of experience in manufacturing UV flatbed printer, Maxcan has always been focus on improving UV flatbed printer only, which helped us to build good reputation from domestic & oversea market. 2.MAXCAN F2500E is equipped with print heads from Japan. F2500E enables you to start business at very low investment, while allows you to do a wide range of printing job. 3. F2500E have a highest resolution printing compare to other print heads machine, it is widely used in printing medias including acrylic, metal, wood, glass, plastic, phone covers, MDF, melamine board, foam boards, PVC boards, ceramic tiles and more. It can create printing effect as mirror effect, 3D effect, embossed result and flat printing.